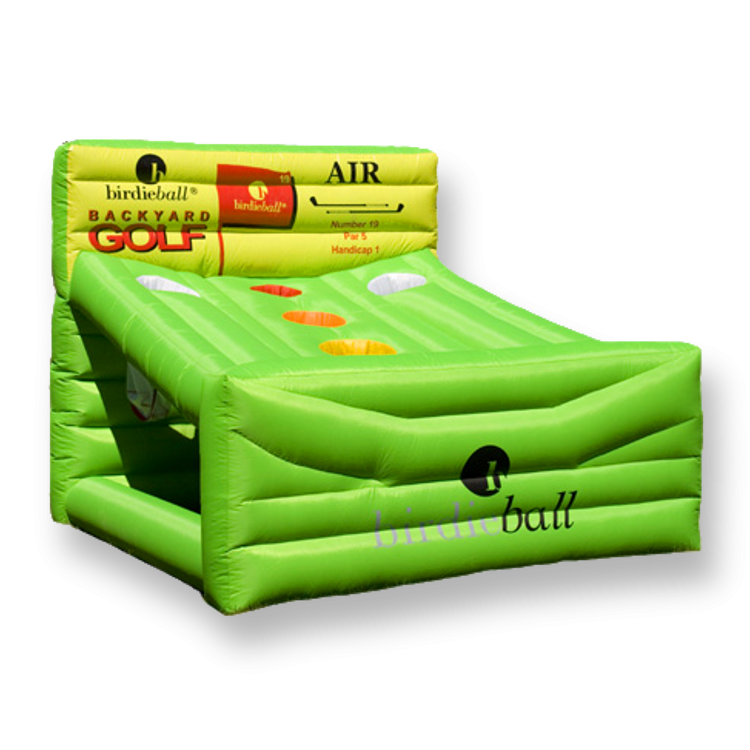 Swing into the ultimate in inflatable golfing fun! Tee up and make your shot into the multi-colored holes--watch out for those water hazards! This game uses limited flight birdie balls that feel just like a real golf ball. Great for large or even smaller sized areas.